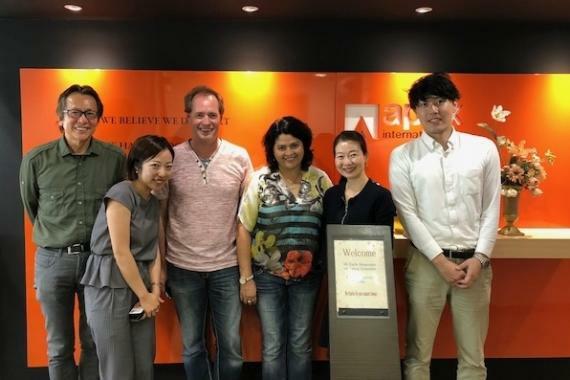 Last Friday, Chilean members, Cronos Logistica visited the offices of Japanese members, Apex International! The 2 UFO partners shared a great, beneficial meeting - Karla Benavente (Managing Director) and Georg Schneider (General Manager) from Cronos Logistica are photographed right with the Apex management team. Apex and Cronos had recently met at the UFO 2018 Annual Meeting in Vietnam where they cemented their working relationship and friendship. The UFO Head Office loves hearing news of our members visiting each other!